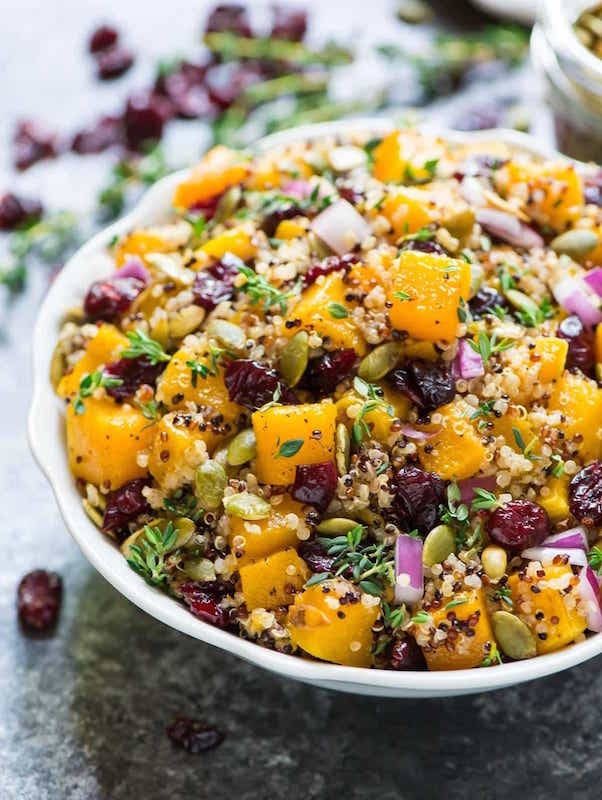 This beautiful side dish is packed with Fall flavors and can be made and stored in the refrigerator up to 4 days in advance. 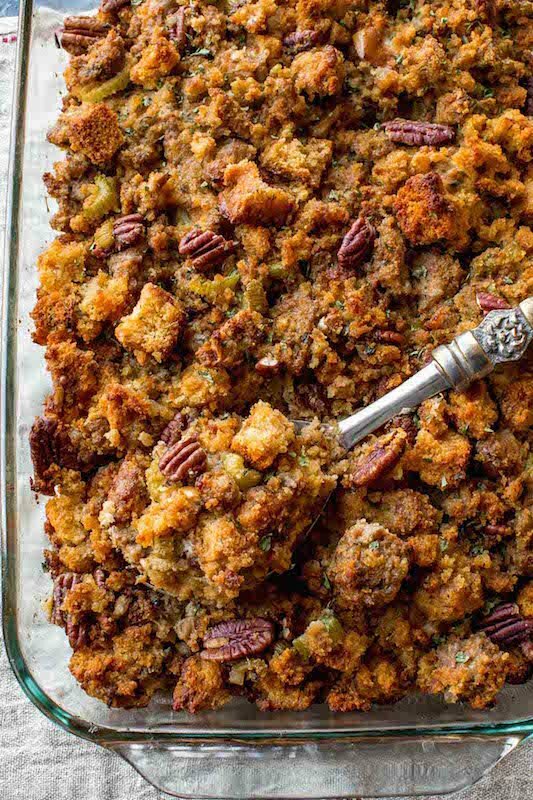 Sally, the queen of baking, brings us this amazing Cornbread Stuffing that can be made the day before Thanksgiving. 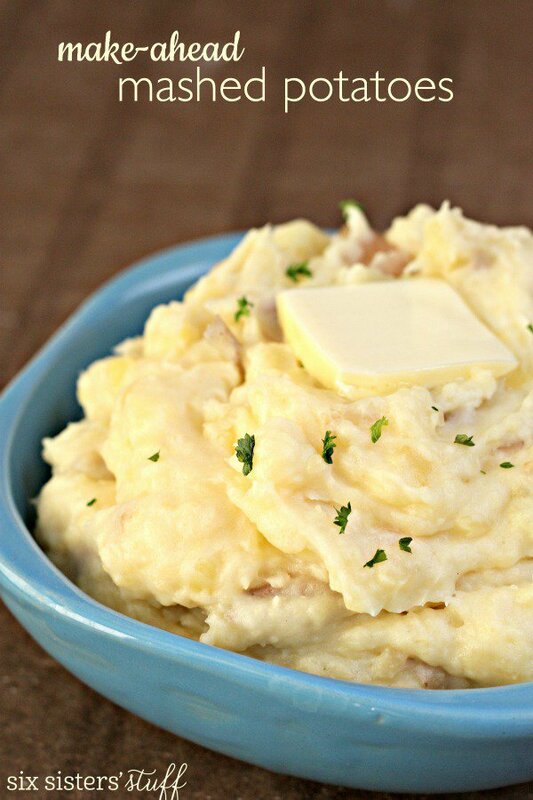 This easy recipe for classic mashed potatoes can be made the night before, then popped into the oven and heated up right before you eat. 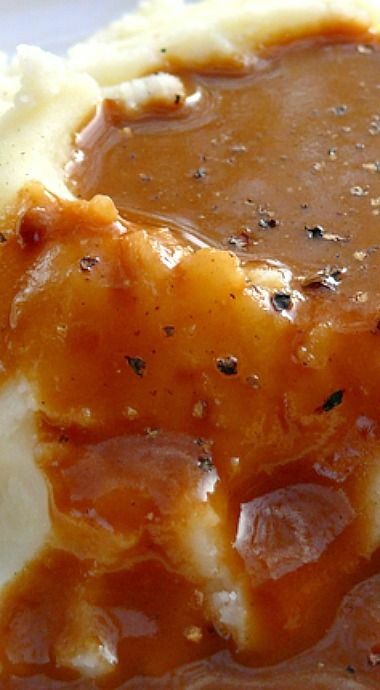 Since you’re going to need some gravy with those mashed potatoes, why not cook this make-ahead gravy from Noble Pig? 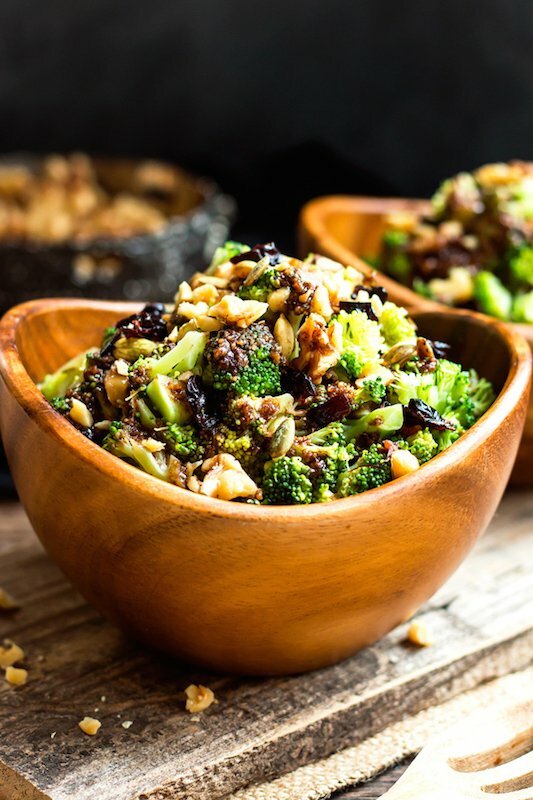 This chopped broccoli salad is a healthy Thanksgiving side dish choice that can be made in advance and stored in the refrigerator until time to eat. 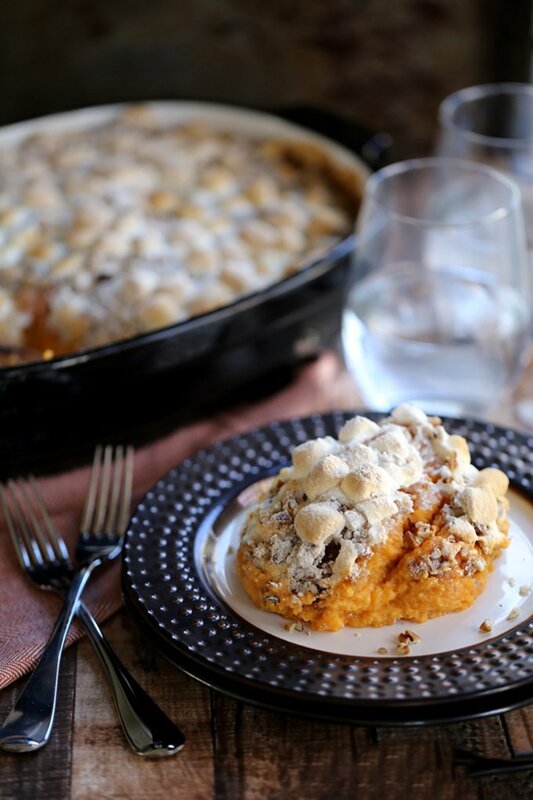 Sweet potatoes are a Thanksgiving staple and this recipe allows you to make it in the morning, up to 4 hours before serving. 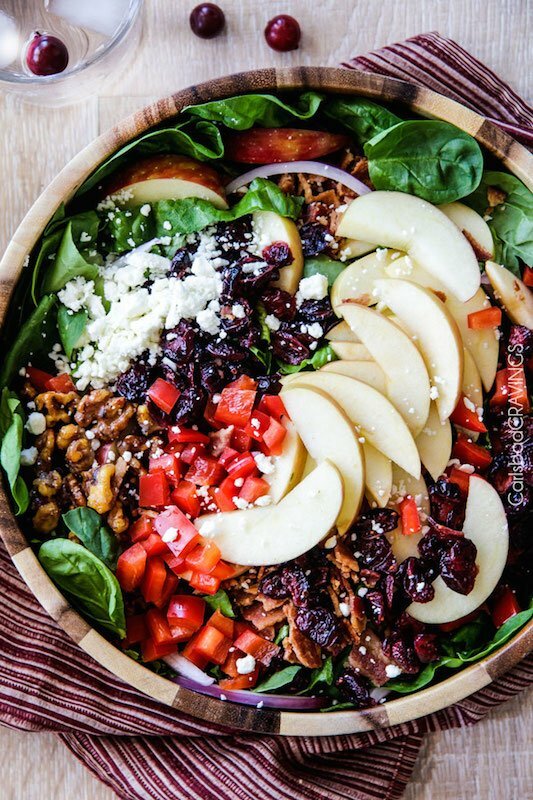 There are so many heavy foods during the holidays, why not lighten it up with this beautiful salad from Carlsbad Cravings? The dressing can be made up to a week in advance. 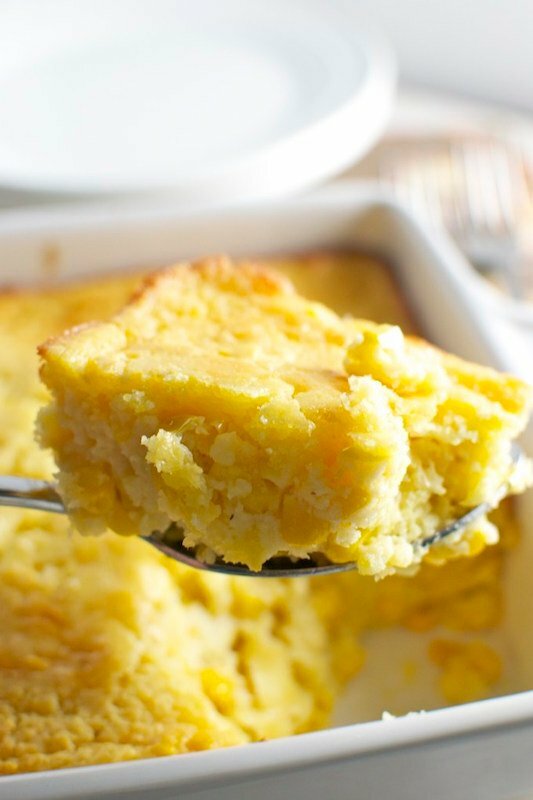 Corn Casserole is one of our all-time favorite holiday side dishes. 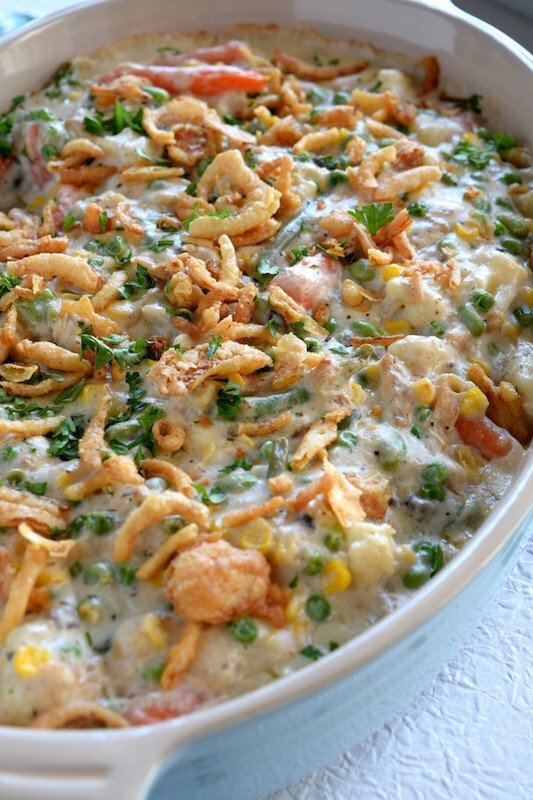 Follow this recipe and make the casserole 1-2 days in advance. Simply reheat right before serving time. 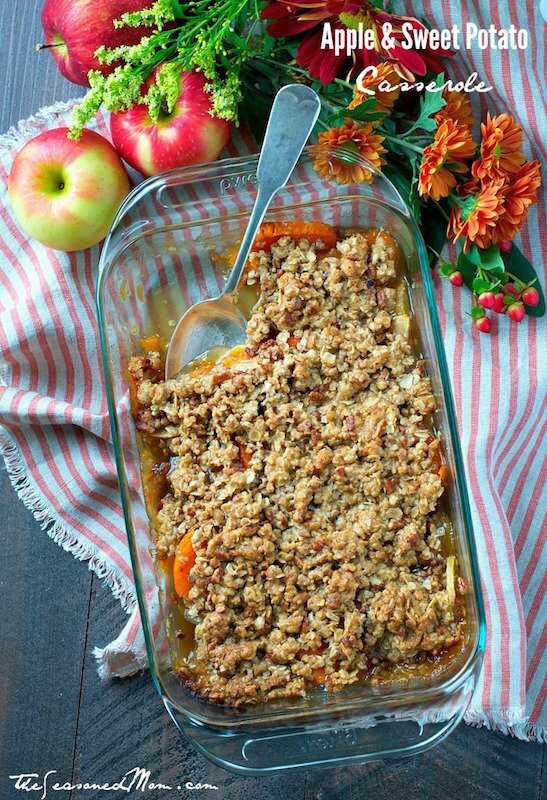 Sweeten your potato casserole up with apples in this twist on the classic Thanksgiving dish. Prepare the day ahead, then toss in the oven & bake right before dinner time. This hearty make-ahead veggie casserole has plenty of room for substitutions so you can adjust it to suit your families tastes. Make the day before and put in the refrigerator, or prepare weeks in advance and freeze instead. 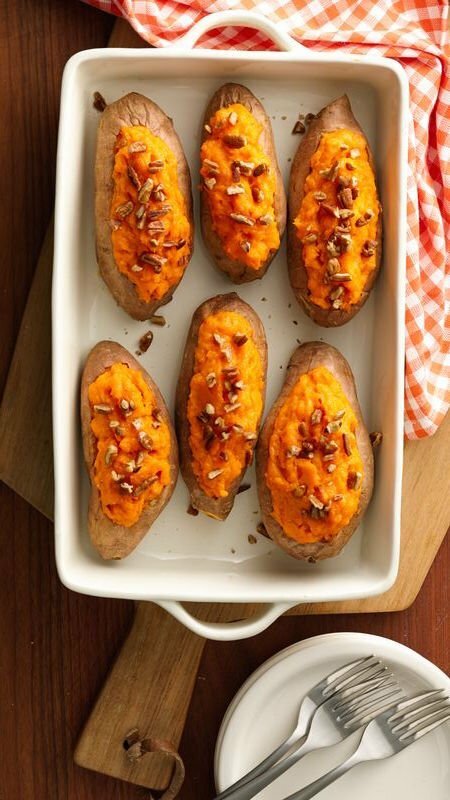 Instead of a casserole, why not give everyone their own individual stuffed sweet potato? Prep & stuff a day in advance for a hassle-free side dish. As far as I’m concerned, the bread can make or break a Thanksgiving feast. 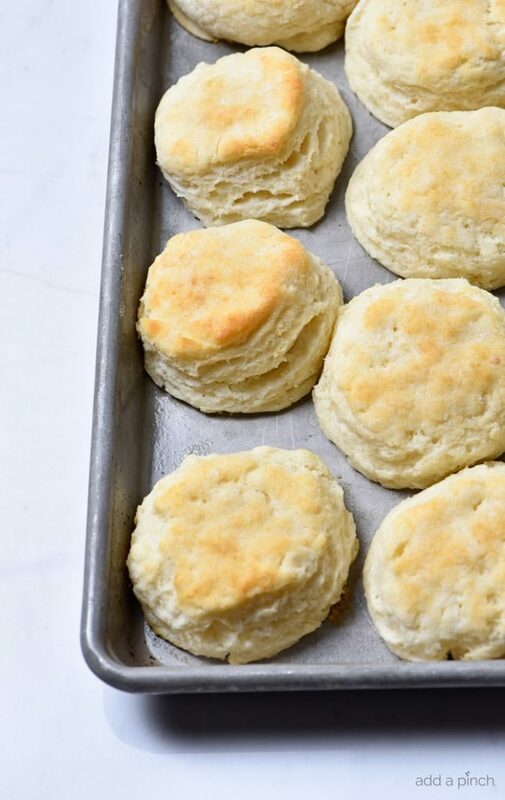 These make-ahead biscuits from Add A Pinch don’t disappoint and can be prepped the day before. 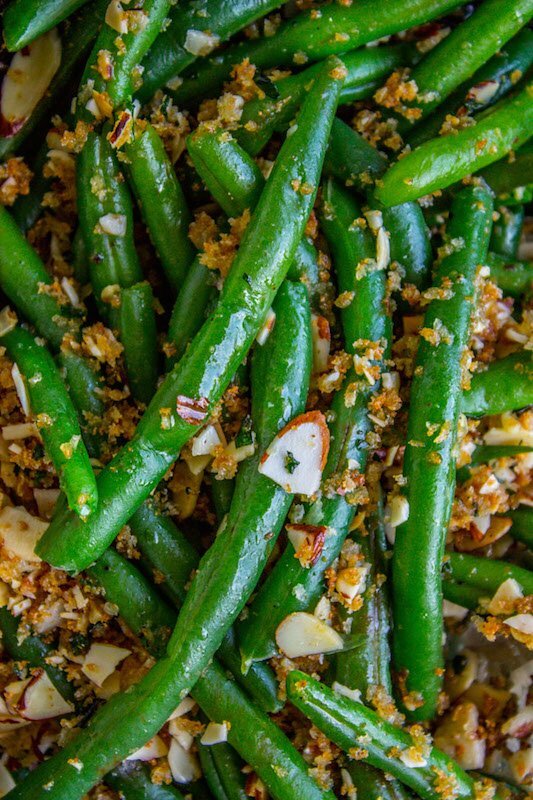 Looking for a lighter veggie side dish? Toast the almonds and breadcrumbs two days in advance for this recipe, then assemble, add herbs, and bake on Thanksgiving day. Brown butter and brioche??? Invite us over already! 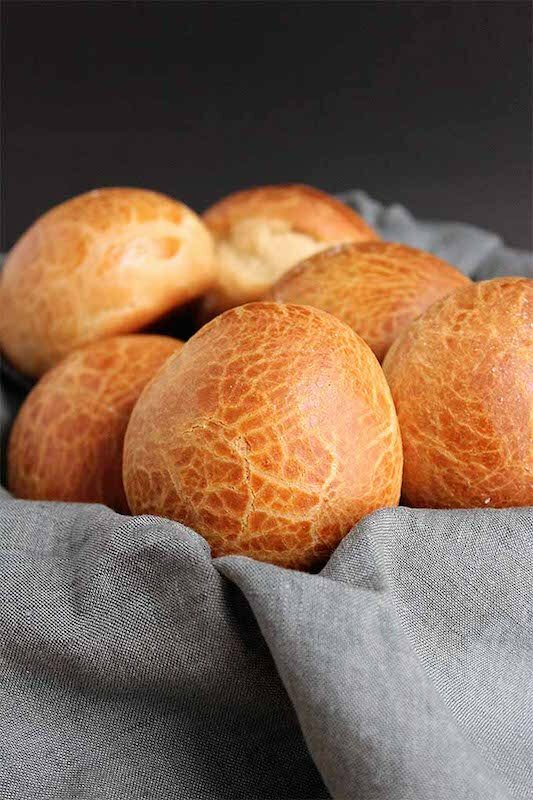 You can prep these rolls halfway the day before by proofing, or bake the whole way and serve at room temperature on Thanksgiving.